The Poem Farm: Birthday of POEMS ARE TEACHERS! Birthday of POEMS ARE TEACHERS! Today is the birthday of the book I always wanted to write and finally did. The concept is not new. Poems ARE teachers, and writing teachers know this. Strong poetry teaches us how to write strong prose. 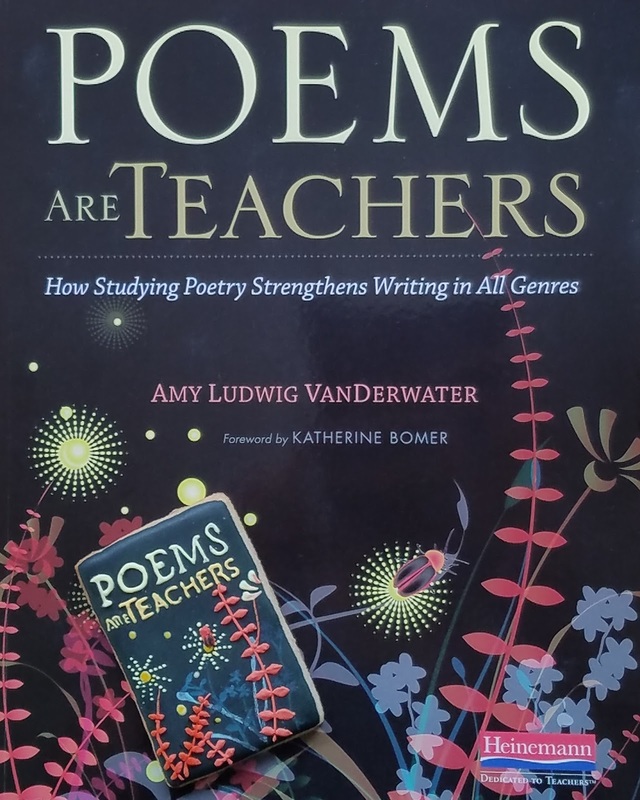 In this book, I aim to explain some very specific ways that studying poems can lift our prose, from organizing our thinking to choosing a title. Two Writing Teachers - Giveaway running through Thursday, November 2 for POEMS ARE TEACHERS and for READ! READ! READ! #G2Great Twitter Chat - Thursday, October 26, 2017 at 8:30pm with a Book Giveaway for the same 2! goodreads Giveaway - 5 copies! Winners chosen on November 10, 2017. But here, today is a day for gratitude. 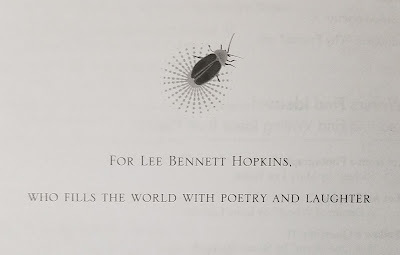 First, thank you to my long-time poetry teacher, Lee Bennett Hopkins, brilliant and loving and tough all at once. I dedicate this book to him with my deep gratitude. Thank you to the whole team at Heinemann, people and elves both. My editor, Katie Wood Ray, is an author I've admired for years, and the fact this book went through her hands is clear as day. Senior production editor Vicki Kasabian and production director Patty Adams held it all together with wisdom and kindness. Wise and generous Katherine Bomer wrote a beautiful foreword that made me teary. Edie Davis Quinn graciously coordinated editorial business, and Maria Czop perfectly took care of permissions. Suzanne Heiser designed the gorgeous package and chose all images. Jennifer Brett Greenstein carefully copy edited, Kim Cahill is marketing like crazy, and Steve Bernier does all that needs to be done as manufacturing print buyer. Thank you to the talented contemporary poets whose words grace these pages. Working with them was a complete joy. Thank you: Mary Lee Hahn, Irene Latham, Susan Blackaby, arnold adoff, J. Patrick Lewis, Laura Shovan, Kenn Nesbitt, Steven Withrow, Jeannine Atkins, David L. Harrison, Georgia Heard, Carole Boston Weatherford, Laura Purdie Salas, Robyn Hood Black, Alma Flor Ada, Marilyn Nelson, Jack Prelutsky, George Ella Lyon, Lee Wardlaw, Doraine Bennett, Kristine O'Connell George, Kwame Alexander, Guadalupe Garcia McCall, Heidi Mordhorst, Matt Forrest Esenwine, Heidi Bee Roemer, Michael Salinger, Charles Ghigna, Susan Marie Swanson, Nikki Grimes, April Halprin Wayland, Jane Yolen, Paul B. Janeczko, Joyce Sidman, David Elliott, Deborah Chandra, Ann Whitford Paul, Douglas Florian, Kristy Dempsey, Allan Wolf, Kate Coombs, Janet Wong, Marilyn Singer, Michael J. Rosen, Margarita Engle, Eileen Spinelli, Rebecca Kai Dotlich, Sara Holbrook, Lesléa Newman, F. Isabel Campoy, Reneé M. LaTulippe, Charles Waters, Pat Mora, Naomi Shihab Nye, Juanita Havill, Lee Bennett Hopkins. Thank you to teachers! 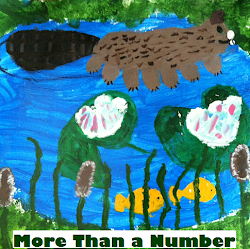 I am grateful to many thoughtful teachers who shared beautiful student work. 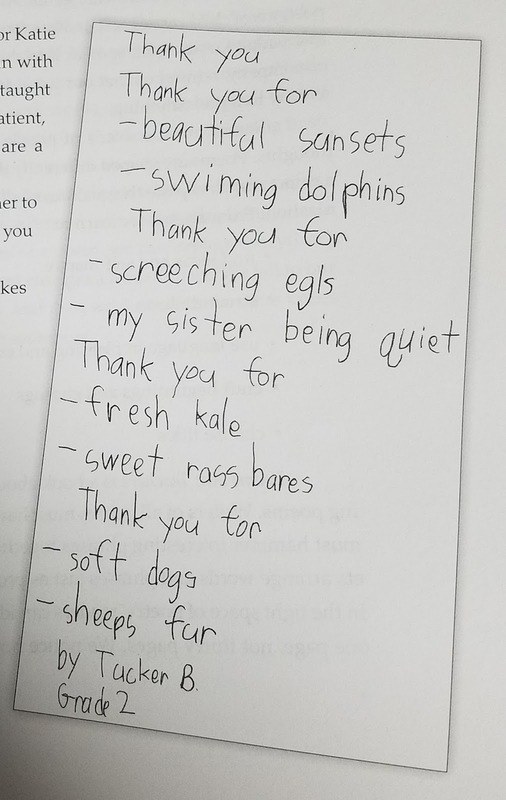 Teachers, thank you for your generosity and for your back and forth: Helene Albrecht, Heidi Ames, Jenn Bogard, Ashlee Bryant, Cathi Burton, Emily Callahan, Susan Chauncey, Winifred Christopher, Andria Nacina Cole, Ann Marie Corgill, Monica Crudele, Darlene Daley, Mali Dayton, Kim Doele, Debbi Dolce, Michelle Enser, Ketty Fernandez, Catherine Flynn, Michele Gilbert-Tindall, Mona Goodman, Charnetta Harvey, Keith Hinnant, Nicole Jamison, Jessica Ketcheson, Pam Koutrakos, Barry Lane, Nancy Logghe, JoEllen McCarthy, Patty McGee, Alicia McKendrick, Melanie Meehan, Kimberley Moran, Karen Morreale, Kim Oldenburgh, Brianna Person, Ann Piper, Tia Rendine, Mary Anne Sacco, Christine Scheer, Margaret Simon, Tara Smith, Kathleen Sokolowski, Angela Stockman, Holly VanEpps, Darren Victory, Aliza Werner, and David Williams. Students - As you likely know, I am not sharing your last names in POEMS ARE TEACHERS, but I hope that you see and find your wonderful poems. Congratulations and much love to you. You are teaching many future poets with your words. Thank you to my great agent, Elizabeth Harding, to my friends, especially Karen Caine, to my teachers, and to my dear dear family. And now, since this is a thank you party, I am offering a giveaway. 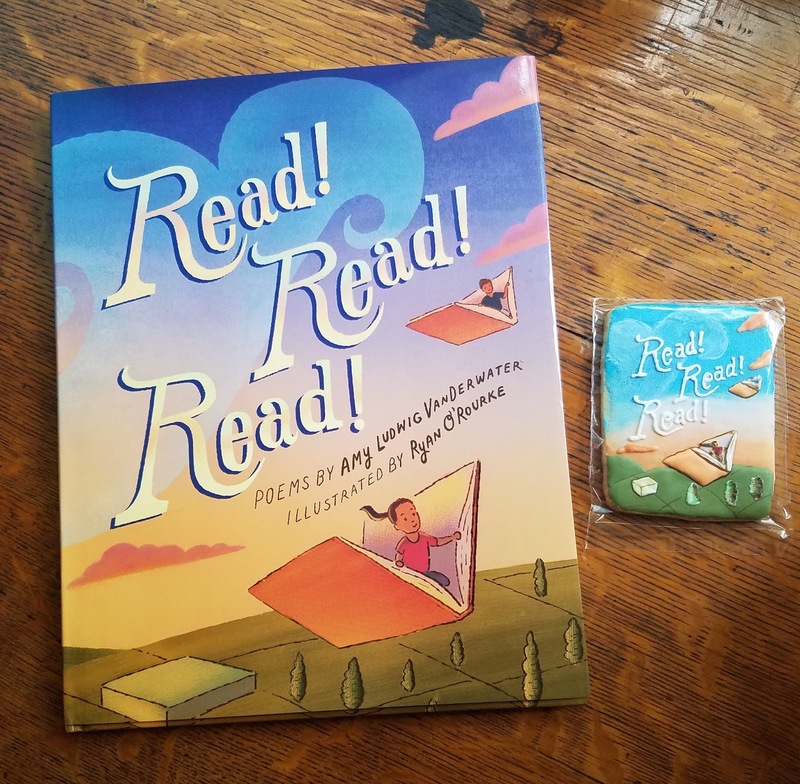 Next week I will share a goodreads giveaway for 5 copies of POEMS ARE TEACHERS, but today, I am offering something special to one commenter (with a US address) on this post, chosen at random next Thursday, October 26 at 11pm. 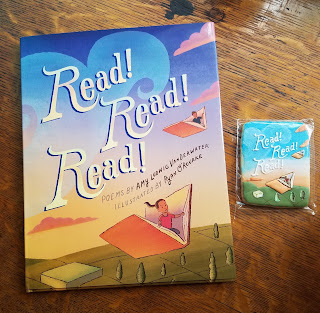 If you noticed the cookie with the book atop this post, or if you saw the cookie I shared last month for the release of READ! READ! READ!, then you know that I am a big fan of Adriana Seuffert's cookie work. Today, her work is part of my celebratory giveaway! Please comment by next Thursday at 11pm along with a way to contact you. Oh, Amy, congratulations on these two beautiful new books! I'm so looking forward to getting the both! Lots of poetry & writing love to you! You are our Wonderful Words Amy!! Congratulations!! Happy Book Birthday! Great job being brave and doing what you've always wanted to do. My students and I are reading through Read, Read, Read and cookies to go with it would be so fun! Happy book birthday to you, Amy! 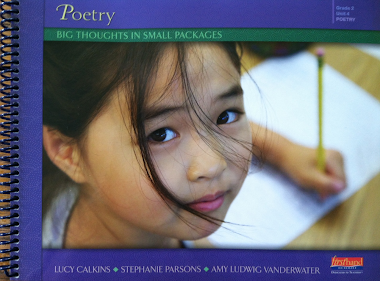 Looks like a wonderful book for teachers, students, and all of us poetry fans. 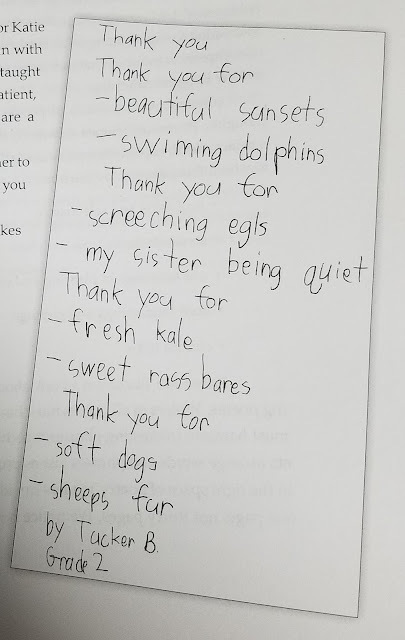 And thanks for sharing Tucker-the-kale-lover's poem! It is truly a treat to see your creative and arduous work come to fruition! I am so honored to say, "I knew you when The Poem Farm was a baby!" Thank you for the gifts you share with children and educators! 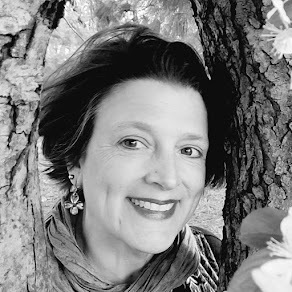 When I moved to 3rd grade from middle school (after 22 years) last year, I wondered where I would find inspiration for teaching poetry to third graders the way I had found Naming The World by Nancie Atwell years before. 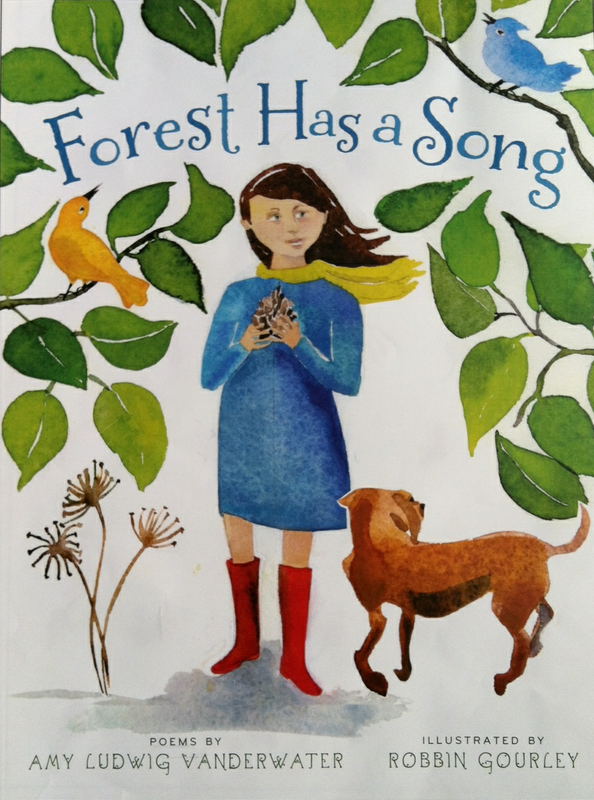 Books like Forest Has a Song and the poems at Poem Farm helped me more than you know. I'm so excited to get my hands on a copy of Poems are Teachers. Congratulations Amy! So enjoy all you've created thus far! 'Can't wait to savor and share more with my students. Congratulations to one of life's truly beautiful people! You are an inspiration to so many, and I'm looking forward to sharing your new books far and wide! Happy Book Birthday. Congratulations. How gratifying it must be! Especially for a book about poetry. Wonderful. 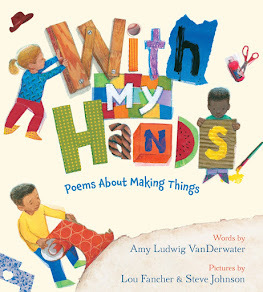 Amy, you and yours in Poems are Teachers are the embodiment of, "do what you love and you'll never have to work a day in your life." I'm sure much work is involved in all the books you write and see birthed into print. However, you make it look joyful. Thank you for the inspiration and support of poetry in the world. You, yourself, are a very fine teacher as well. Happy happy bookday. This book sounds wonderful and thank you for compiling it. I'm not eligible for the giveaway as I am in faraway Australia, but will be ordering a copy soon. Congratulations on both of your new books, Amy! I'm looking forward to diving into both of them!! I couldn't wait so I ordered a copy. It arrived this week. This book is such a labor of love, full of rich poems, insights, ideas, and student poems. I'm proud to have played a small part. Congratulations, Amy! Thank you for including my students' work in this gorgeous book. They are beyond thrilled! Amy, you never stop inspiring me with your work ethic and good cheer. Many, many congrats! Oh, how I have loved reading and teaching about poetry. I would love to add your inspirational works to my professional book collection so I can continue to encourage my student's to ready and write poetry. Looks like fantastic books we need to get support students as they develop reading and writing poetry.